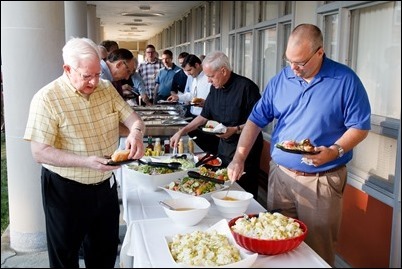 Each year, around the feast of St. John Vianney, the patron saint of priests, we like to have a get-together for our priests. 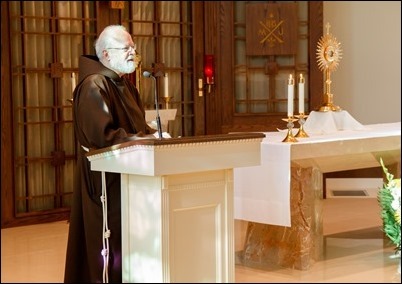 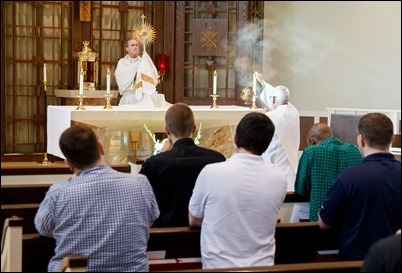 This year, for the first time, it was held at Pope St. John XXIII Seminary in Weston. 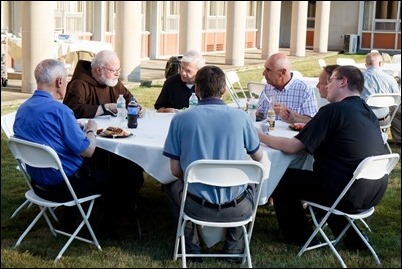 There, we had a holy hour where I was able to share some reflections with the priests, and afterwards we had a cookout. 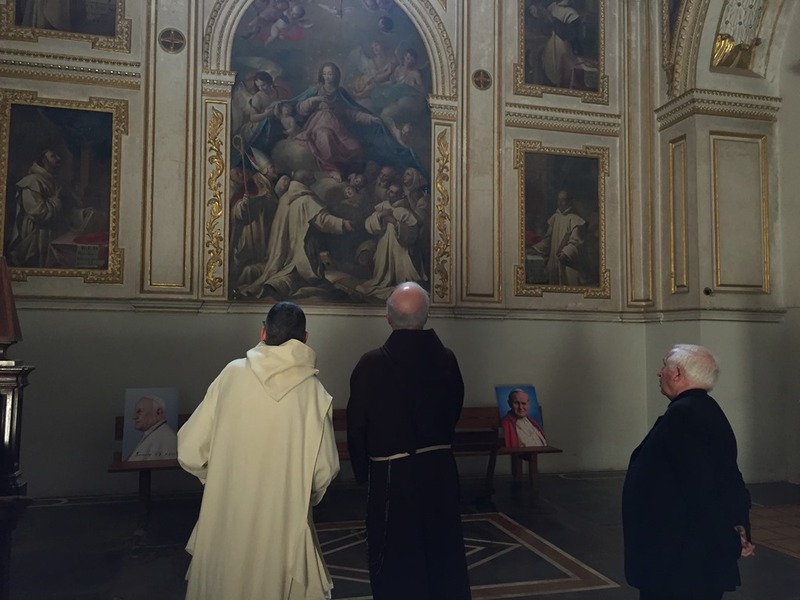 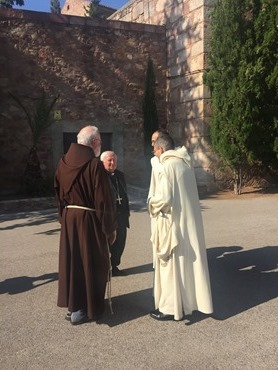 It was an opportunity for the priests to spend some time together in a relaxed atmosphere. 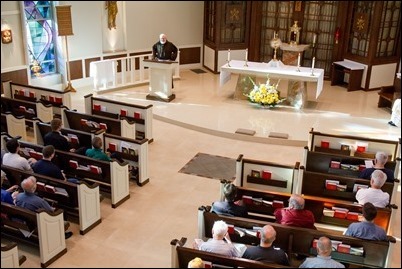 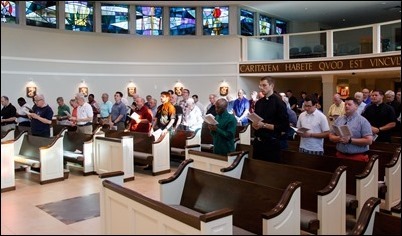 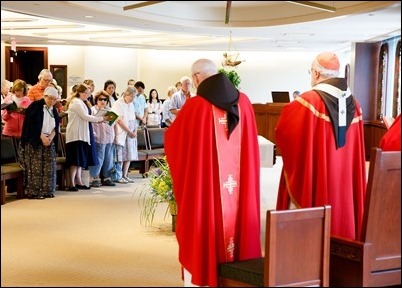 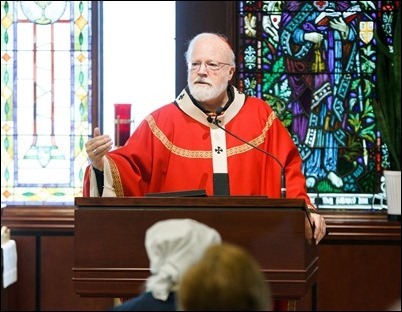 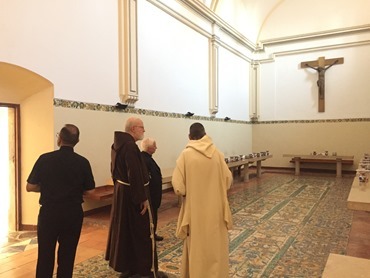 I was very happy that this year it was held at Pope St. John’s because I think many of the priests have not had an opportunity to see the new renovations including the renovated chapel and the new library and media center. 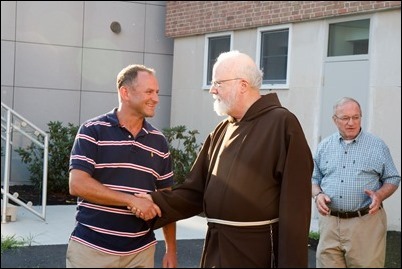 It was a wonderful day, and we are very grateful to Father Brian Keily for hosting us. 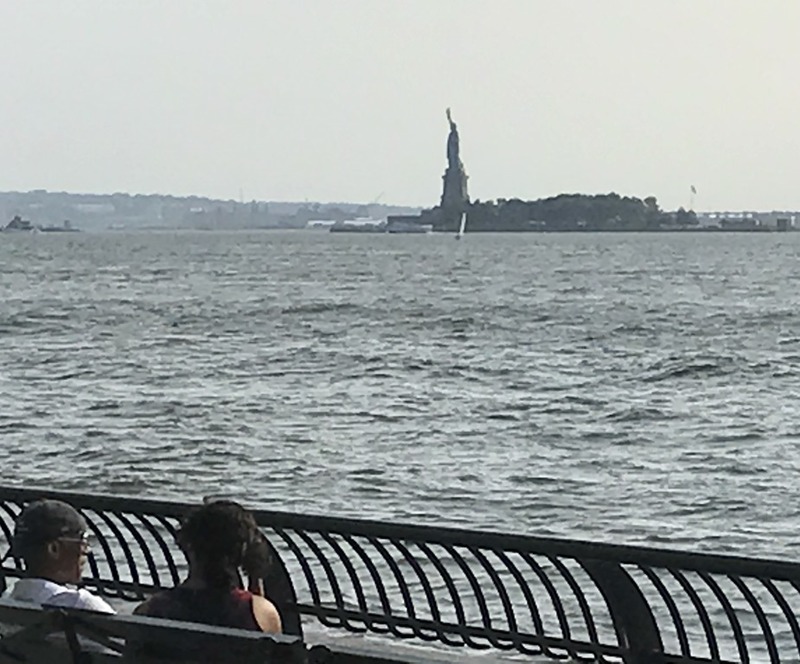 It’s always a wonderful opportunity for us to be together during the summertime. 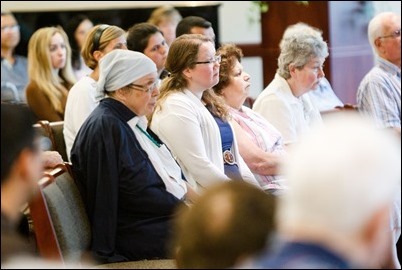 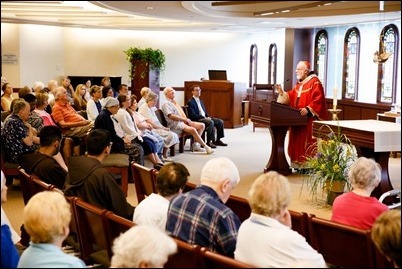 Then yesterday, I gathered with the consecrated virgins in the archdiocese at the Pastoral Center. 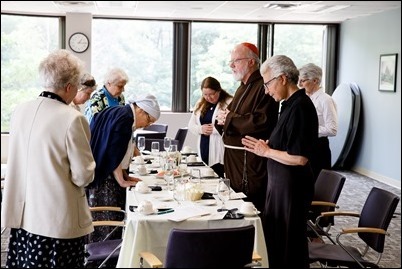 We are very blessed to have this group of women in the archdiocese who have embraced this vocation, which was revived following the second Vatican Council much like the permanent diaconate. 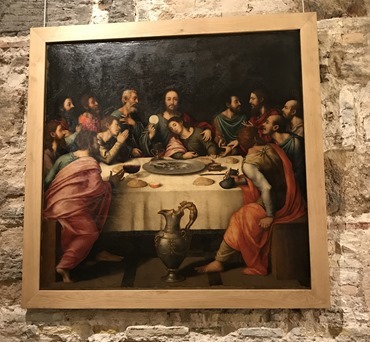 They joined us for your noon Mass and then we had a lunch together. 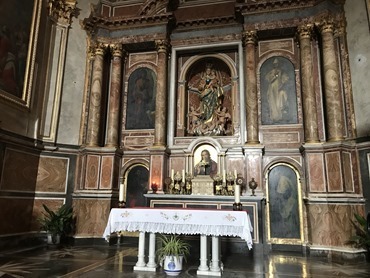 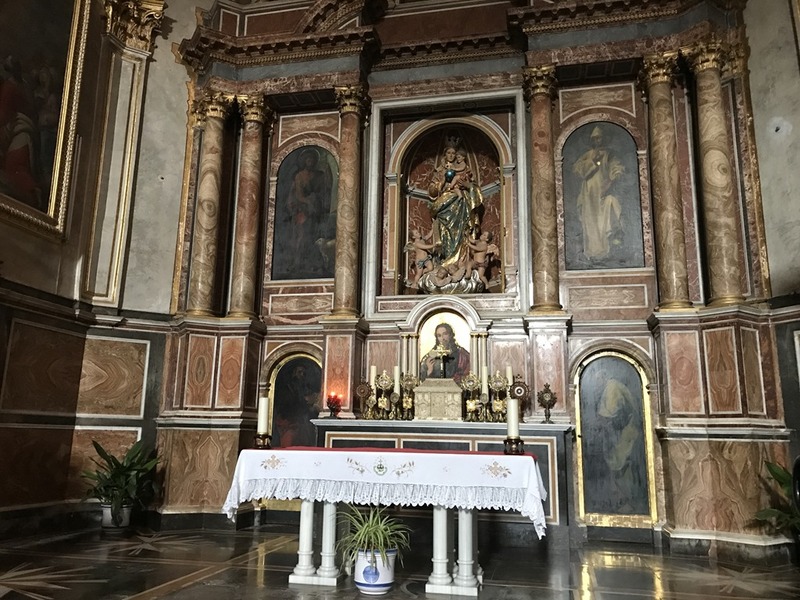 The vocation of the consecrated virgins, much like that of the permanent deacon, was very important in the Early Church but, over the centuries, eventually died out. 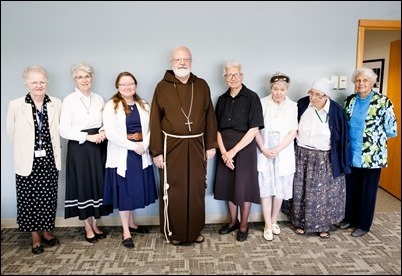 The Church has re-established them as special vocations and we are pleased and blessed to have a number of women in the archdiocese who have made this consecration to devote their lives to the Lord and are involved in so many works of mercy and the works of the apostolate. Like most of you, during the summer I try to take some time away and, this week, I’d like to share with you some of my activities. Last month, I was able to spend a few days in Spain to see friends and to visit with the Cardinal Archbishop of Valencia, Cardinal Antonio Cañizares. 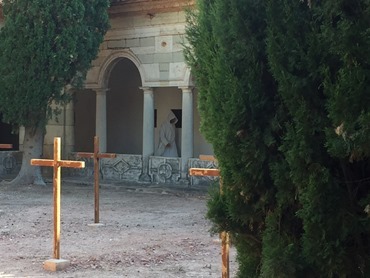 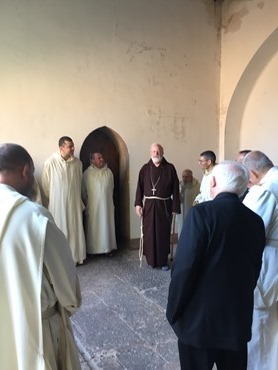 While I was there, the cardinal brought me to visit the Carthusian monastery in his diocese, which reaches back to the 11th century. 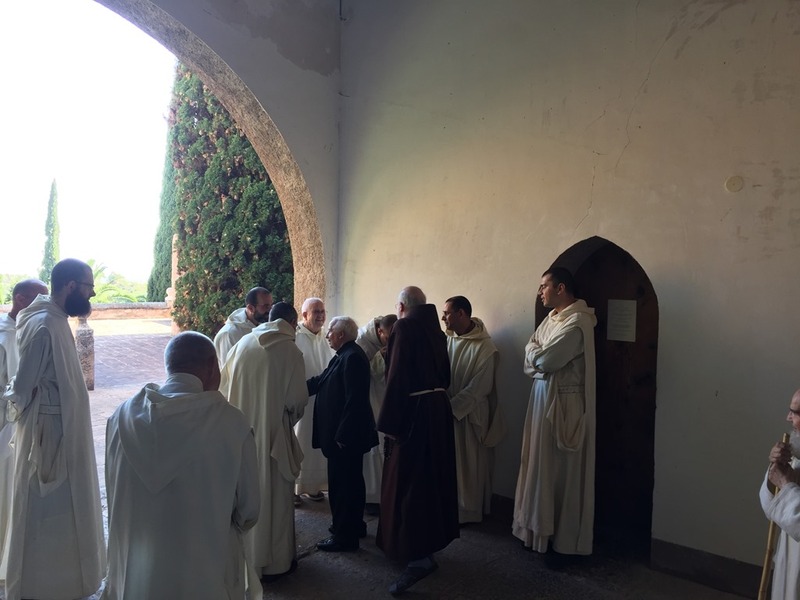 The monks there live the eremitical life of St. Bruno. 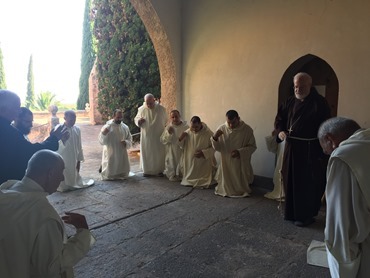 Their hidden life is just a beautiful vocation and a gift to the Church, which is one of prayer and penance, praying for the Church and the world. It was a very wonderful experience to be able to visit them. 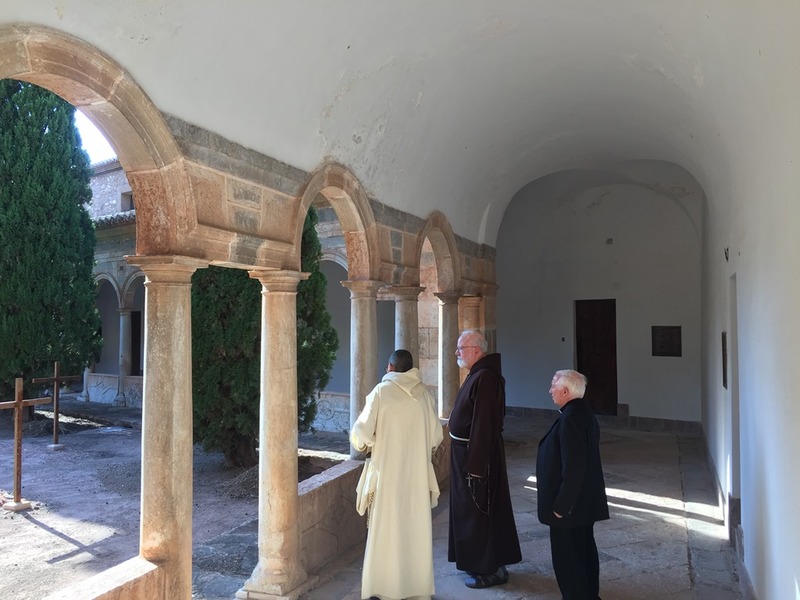 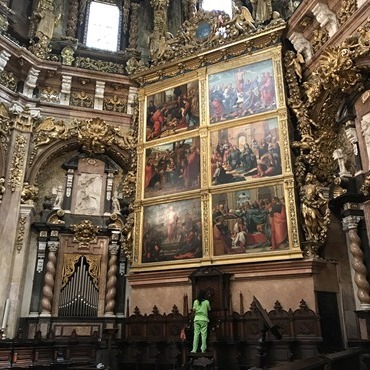 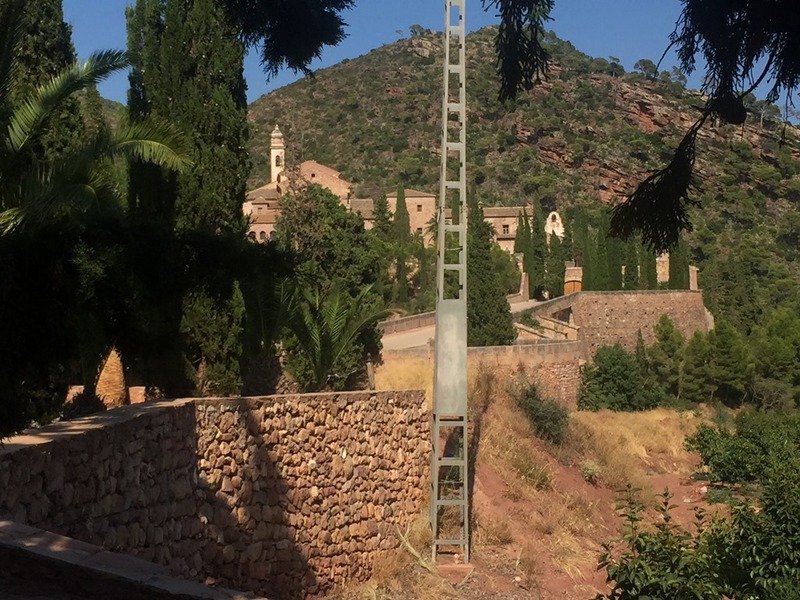 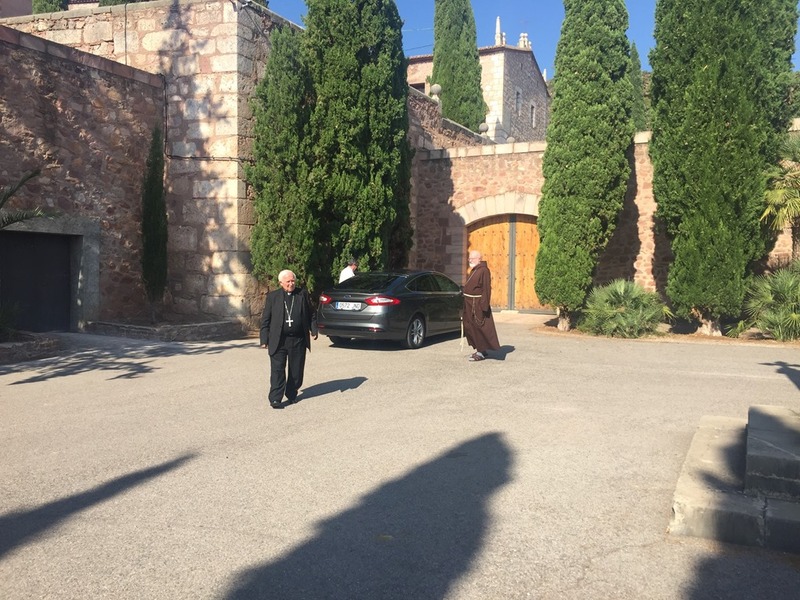 As you may know, the monks usually do not receive anyone from the outside world, and when we arrived at the monastery gate, we weren’t sure that they would even open it for the Cardinal Archbishop. 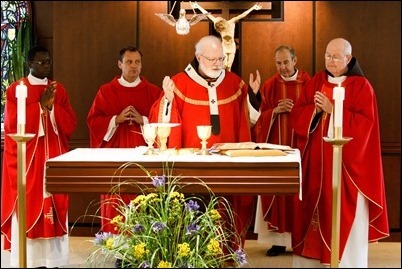 Believe it or not, it took a little convincing for them to let two cardinals in, but eventually they did! 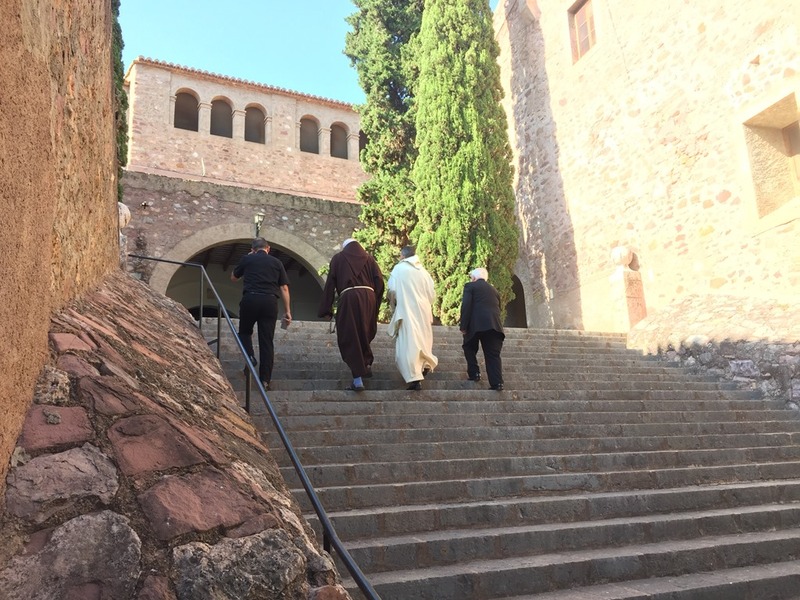 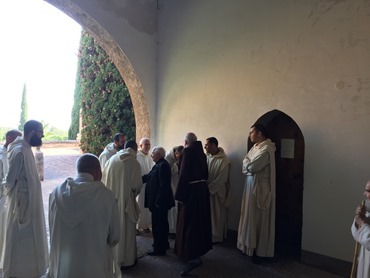 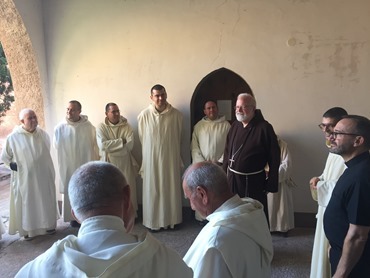 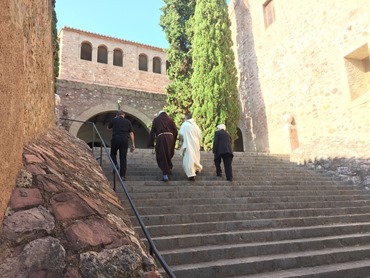 We felt even more privileged that the superior called all the monks together because it is a very rare thing for them to all assemble, but we were grateful that we are able to be with them and greet them. At the end of our visit, we gave them a blessing and they sang the Carthusian version of the Salve Regina, which was just beautiful. 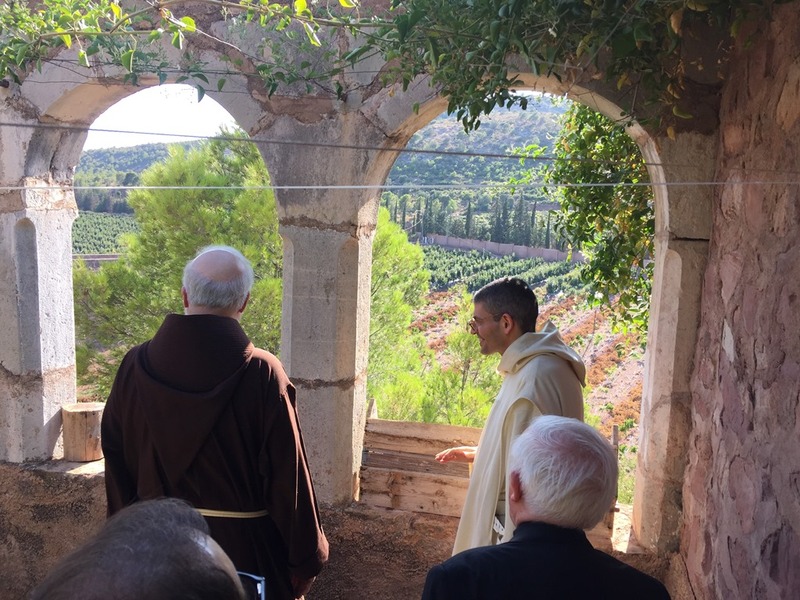 I took some photos of the grounds of the monastery where the monks work the land to support themselves. 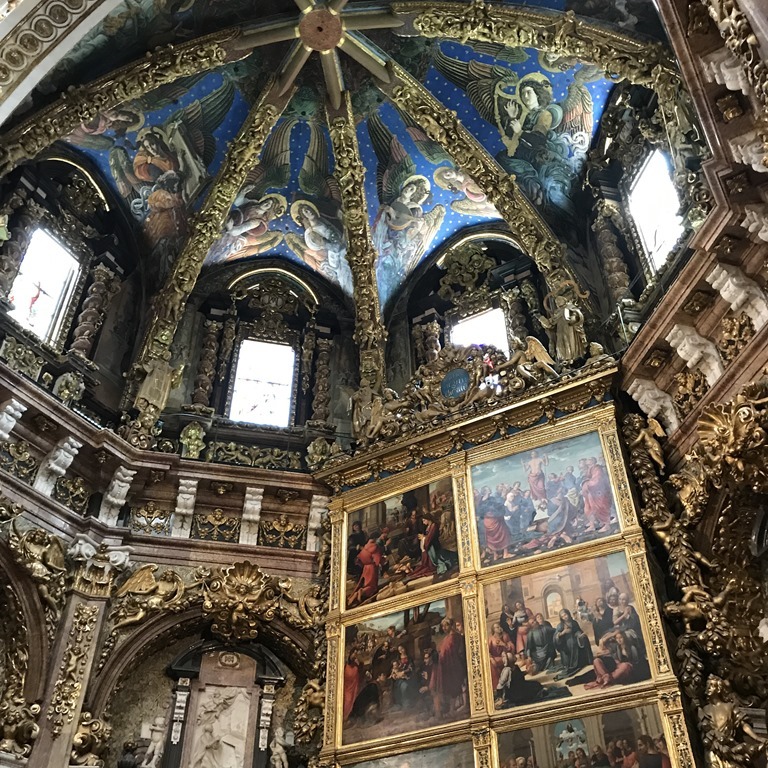 Also, while I was in Valencia had an opportunity to visit the Cathedral, which dates back to the Middle Ages. 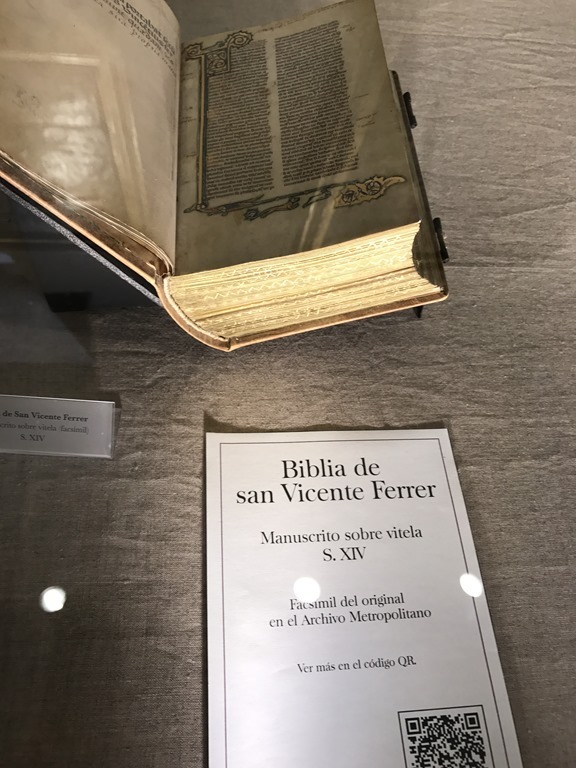 I had not averted to the fact that there are two popes that came from Valencia – both Borja popes – Clement VII and Alexander VI. 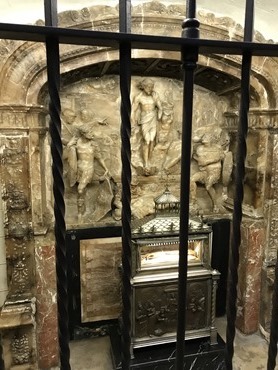 In a reliquary they had there they have the arm of St. Vincent the Deacon, who is a martyr from Roman times. They also have relics of the other patron saint of the city St. Vincent Ferrer. Within the Cathedral they have a special Chapel for the Santo Cáliz, which is believed to be the Holy Grail. 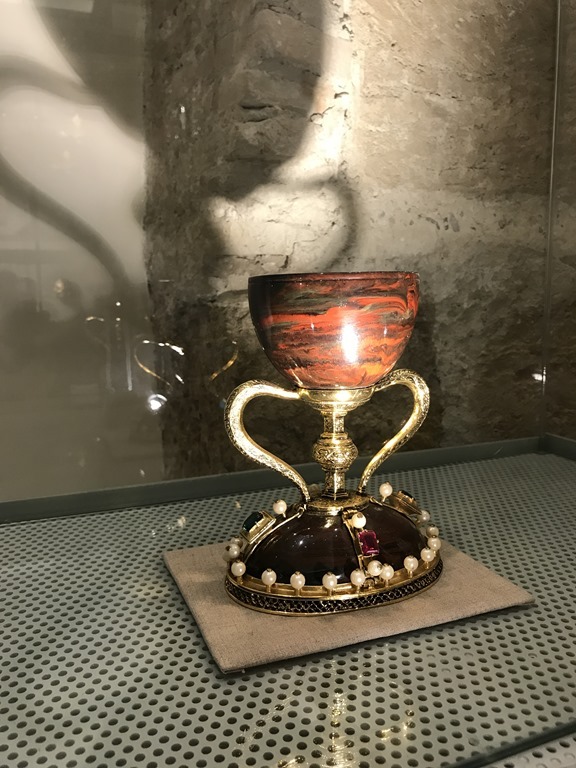 The cup has been dated to the 1st century BC in Egypt and they have quite a record of the provenance of that cup over the last 2,000 years. 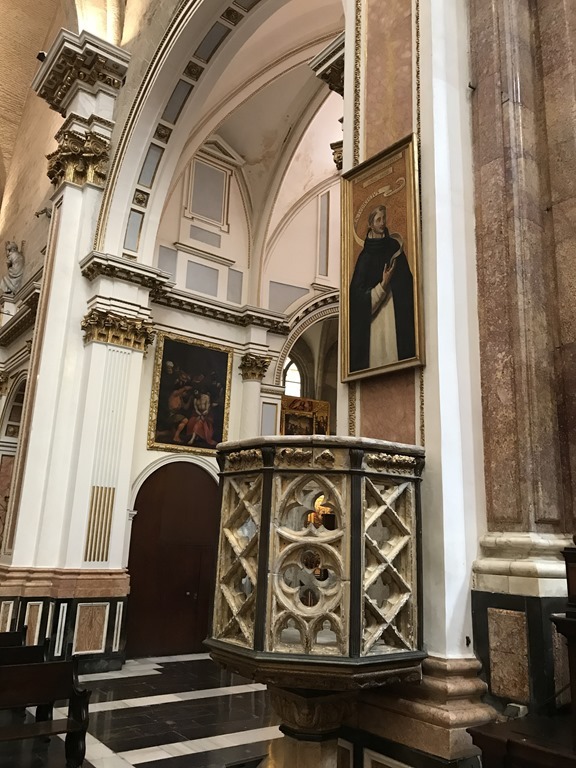 In a happy coincidence, while we were at the cathedral, we ran into the sister of Father Sean Maher of St. Francis of Assisi in Dracut, who was on vacation in Valencia with her family. 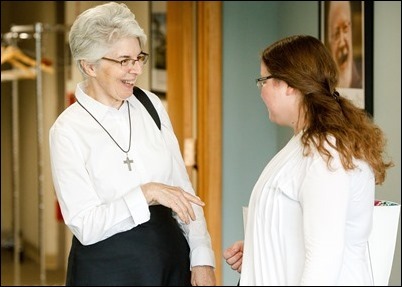 It was quite a nice surprise for me to see her and I suppose a surprise for her as well since she called Father Sean right away to him tell about it. 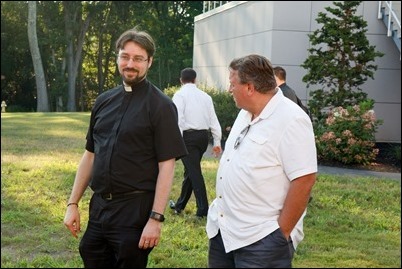 Unfortunately, it was only 5:30 in the morning here in Boston, so Father Sean got a little bit of a rude awakening! 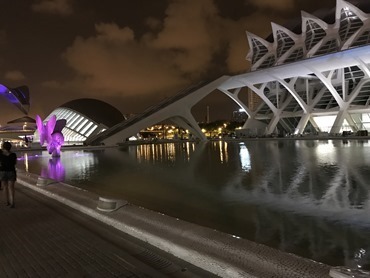 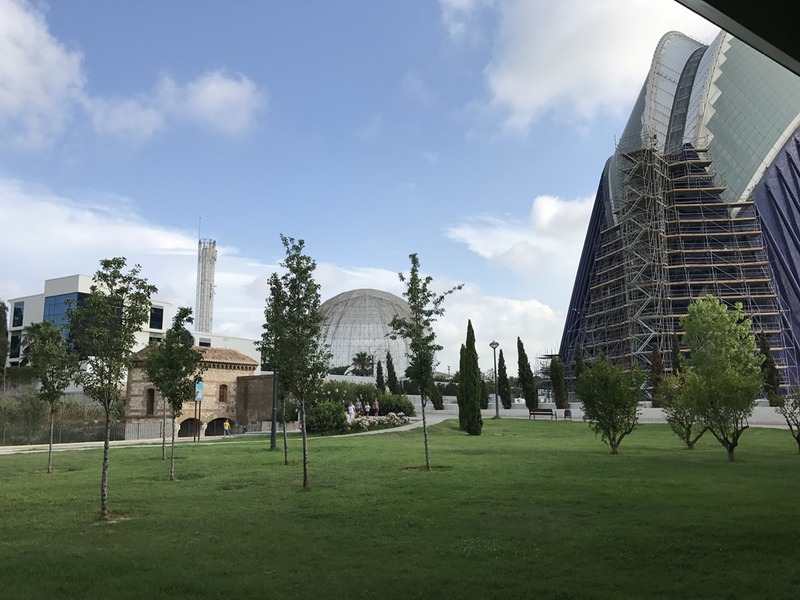 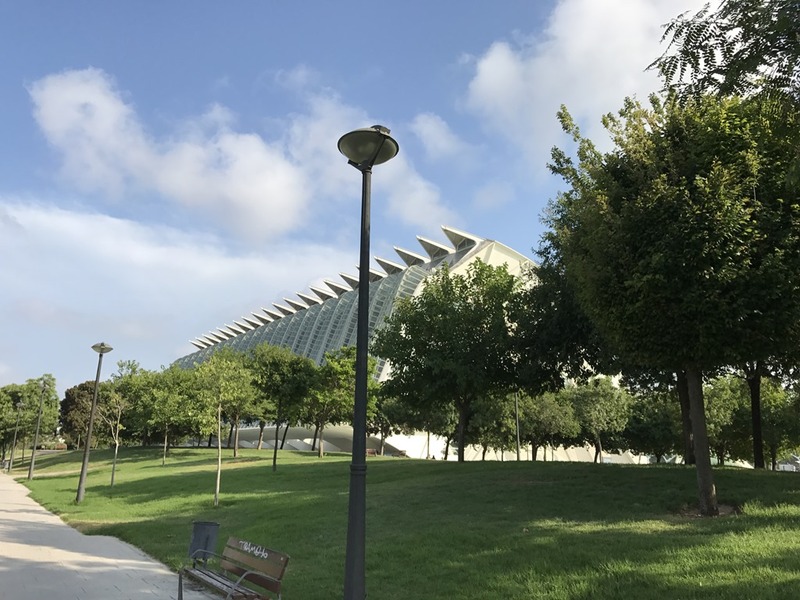 Another site in Valencia I had a chance to see was the Cuidad de las Ciencias, or City of Arts and Sciences, which is an iconic part of the city. 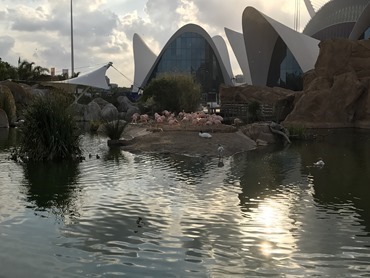 There had once been a river that ran through the city but, because of flooding, they decided to change the course of the river. 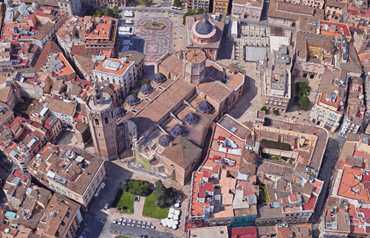 This, of course, opened up a huge swath of open land in a very developed city. 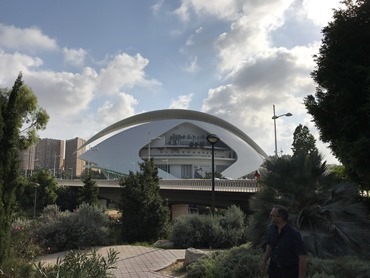 So, in that space, they created a very nice park and also a series of very modern buildings – an opera house, museum and aquarium. 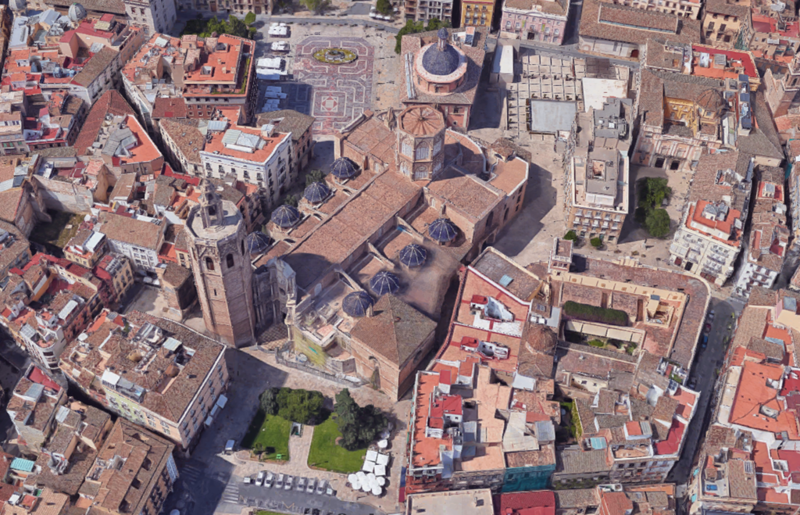 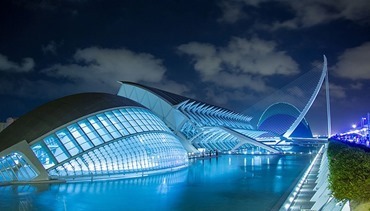 All of these buildings were constructed by the very famous Spanish architect, Santiago Calatrava. 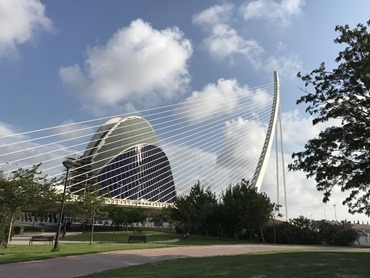 These modern buildings are just an extraordinary sight in a city which has a pre-Roman history and many medieval buildings. 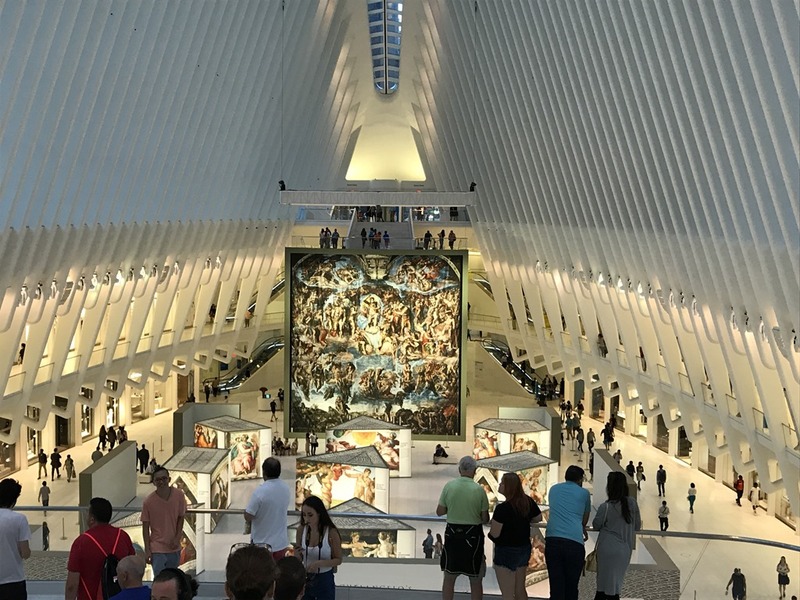 Interestingly, I also had an opportunity to see another Calatrava building this summer, but this time a bit closer to home. 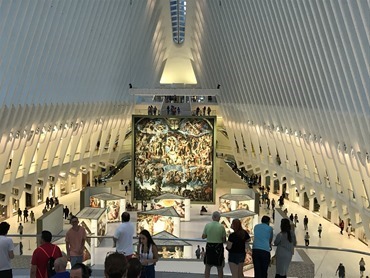 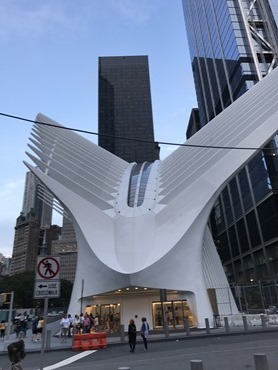 Calatrava also designed the new subway station at the World Trade Center in New York. 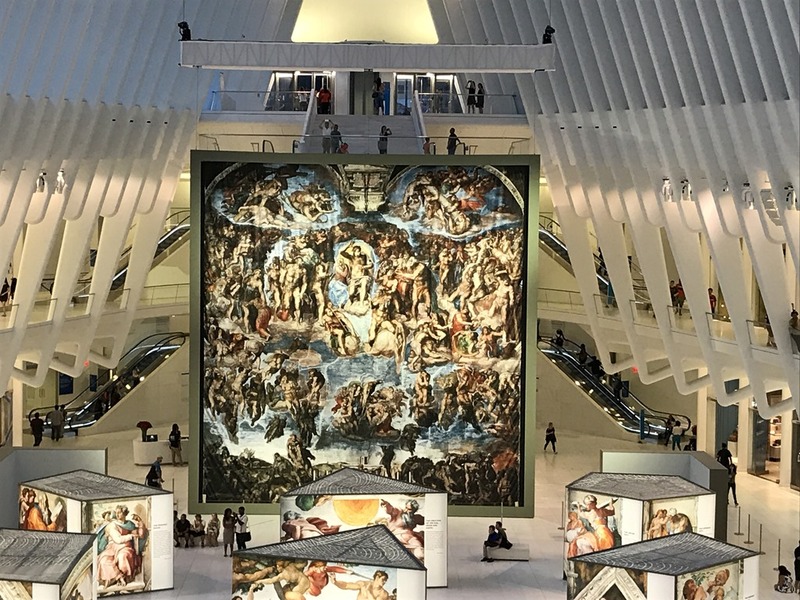 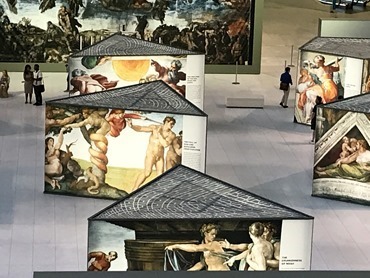 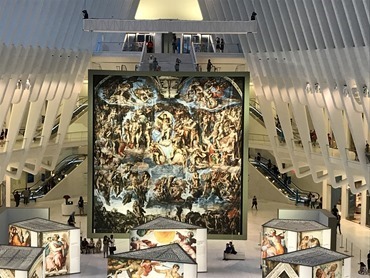 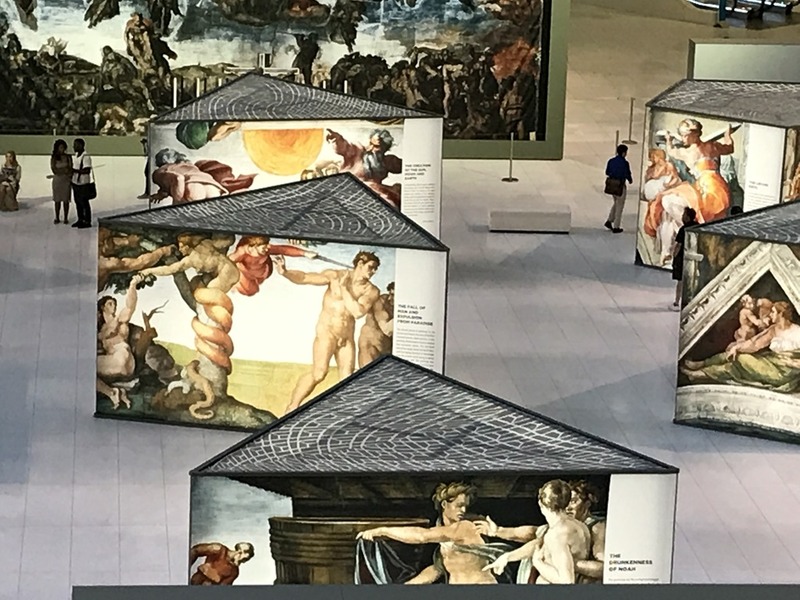 When I visited, they were having an exhibit on the Sistine Chapel inside the station. 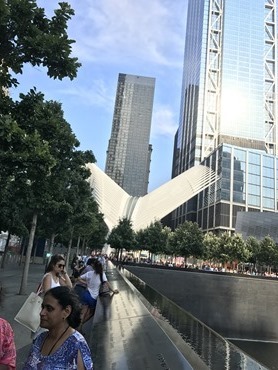 I had never had an opportunity to visit the World Trade Center Memorial at Ground Zero. 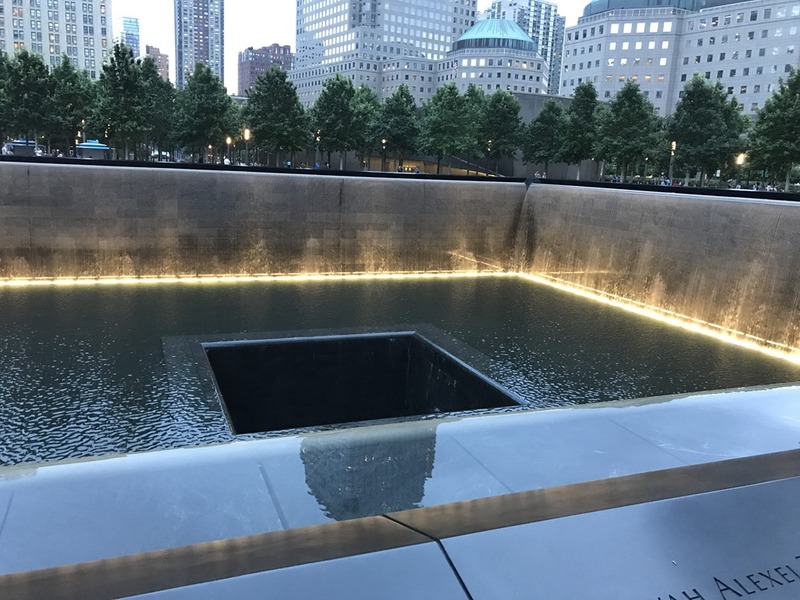 It was a very profound experience. 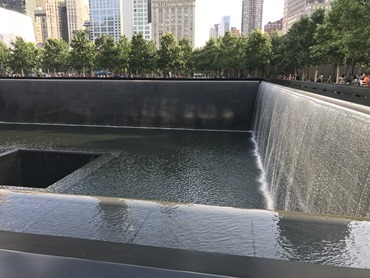 The monuments that have been created where the Twin Towers stood are like two deep wells with water cascading over the edge. On the walls around the memorial are written the names of the victims of 9/11. 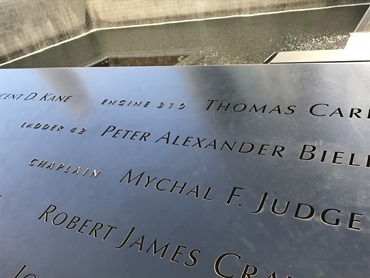 Of course among the names inscribed in the wall is that of Father Mychal Judge, the Franciscan fire chaplain who died ministering to victims of the attacks. Of course, it is a very short walk from the World Trade Center to the river where you can look out to the Statue of Liberty.